Touching and funny in equal measure, Marie discovers another British film to satisfy the grey pound £ in Finding Your Feet. Britain has such a wealth of talent in the ‘women of a certain age ‘ category that it is little wonder putting a handful of them together instantly produces a heart-warming (tinged with sadness) story so effortlessly. Sandra (Imelda Staunton) is the younger sister who finds her perfect life turned upside down when she discovers that her wealthy, recently knighted and retired husband has been having an affair with her best friend. Her only place of refuge is with her older sister Elizabeth (Celia Imrie), whose bohemian life style is in complete contrast to Sandra’s, and whom she hasn’t seen for 10 years. Right away you can take a good guess at what’s going to happen by the end as the story is largely predictable – and you’d probably be right. But that sounds unfairly dismissive, as within the plot are a number of gentle observations on growing older, dealing with illness and death, presented in a way which mirrors the anticipation and fears of many of us growing older, or who watch older relatives deal with similar circumstances. The sharp script balances the realities of ageing with enough comic moments to raise the spirits just at the right moment. Humour is the way that many choose to deal with life’s curve-balls, and the writers have captured this accurately. While the plot may be predictable and at moments even cheesy, it’s rescued by the performances – you can’t really go wrong with Staunton, Imrie, Timothy Spall and Joanna Lumley in your cast, and Imelda Staunton in particular is strong as she races through a range of emotions in her way to finding her feet in her new circumstances. 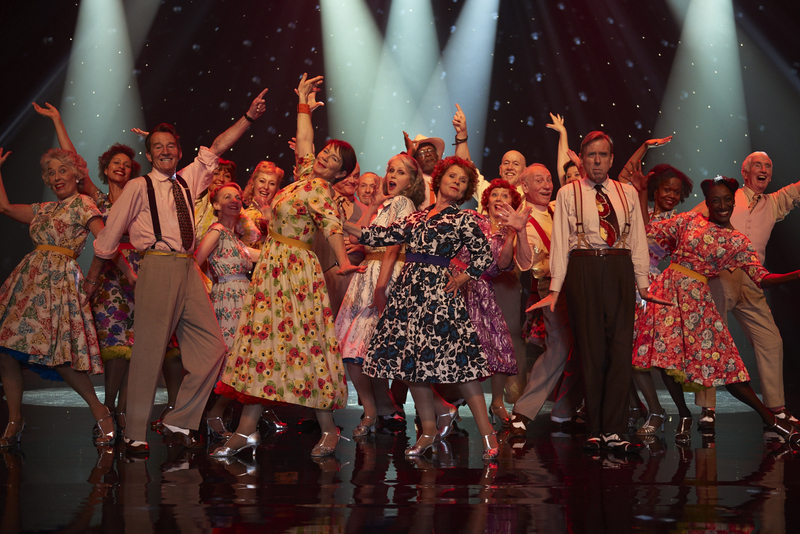 Finding Your Feet definitely fulfills the criteria of a feel good film, with a lot of warmth and humour, though it also gives a good old tug at the heartstrings on its way. Perhaps one for a slightly older audience. Finding your Feet is out now in theaters.